Do you narrate Islamic stories to your Kids?Kids grasps things fast and giving your children an Islamic Companion in the form of colorful books that narrate the stories of their favorite Heroes from Quran can act as charm.It may sound self-evident but engaging your child during story time will play a tremendous role in how much your child likes to read when he is older.children remembers.Even after the book is closed,the story goes on and does ;at play with other Kids or in private daydreams.You can do much to nurture rich Islamic Morale in your Kids . Prophet Muhammad(pbuh )has advised us to acquaint our children with religious teaching.It is only the Islamic teaching we give to your child will help him in becoming a good Muslim and would shape his Akhirah. Hijra, an epic time of the Prophet Muhammad (SWAS) life (seerah). He was surrounded by people who wanted to capture him, but he manages to evade them whilst in Makkah (Mecca) and to his journey to the city of Madinah, with the help from the smallest creatures of Allah. This book also comes with a Glossary. The stories in this series have been especially chosen for their value in building a strong foundation for children. They have been written in simple but attractive language and are based on the accounts of the Messengers to be found in the Holy Quran. These stories have been beautifully illustrated, a fact that will increase the interest of young readers. Although they have been written for children these stories promise to provide enjoyment for people of all ages. It is a book full of the astonishing triumphs of 12 Muslims from the Islamic Empire stretching from the Atlantic shores of Morocco, to the distant beaches of the South China Sea. This book is for a grown up Reader.Probably Kids in their School or anyone who would like to know about some History of great Men of Islam. “We’re Off to Make Umrah” is an excellent easy to understand picture book for young children. It is especially useful in teaching them about the rituals of Umrah and Hajj. I read it to my children before going for Umrah. Now they love reading it on their own and remember their own experience of being in Mecca. This book is a must buy for families planning to visit Mecca with their children! Goodword’s Favourite Tales from the Quran are timeless, treasured stories, specially chosen for young children. These stories, now available in a box of 10 small and handy colorful HB books each featuring two tales, have proved the best loved from one generation to the next. They can be clearly understood and are fun to read, share and enjoy. These are some of the best-loved tales from the Qur’an and from the life of the Prophet Muhammed (pbuh). Especially chosen for the very young, they provide a foundation on which to build a growing knowledge of the scriptures. This is story-telling at its best, with the meaning and message expressed in the simplest of words. As well as being easy to understand, these stories are also fun to read and share with others. Colourful, child-friendly illustrations complement the text and bring the stories vividly to life. A great story book for kids 5-8 years to refill in them the excitement of Eid . We all know that beside every person’s shoulder, there are two angels. Muslims know them as the Kiraman Katibin (the noble scribes). They write down every deed, good and bad, from a person’s first day to their last. 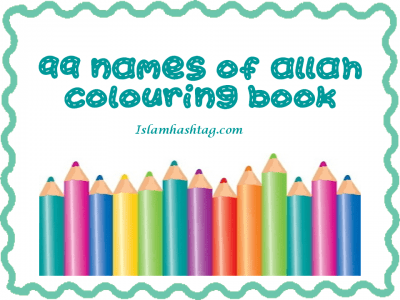 This book is a great way to teach the Kids that Allah is always watching and the angels are always recording . Hope You Like Our Collection.If You want to get these Books you can Simply Click on the Name of the Book.